The Park Smart Tire Saver™ Ramps prevent tires from getting those flat spots that can occur during storage. Constructed of solid PVC with ribs on the bottom, they are heavy enough that they don’t slide. No need to attach to the floor. 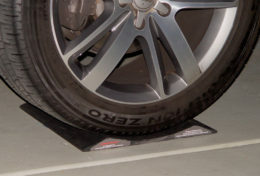 The Tire Saver’s horizontal ribs help the vehicle’s tires grip the ramps when driving onto them. Designed for larger tires 27″ to 40″ tall. Great for cars, trucks, motor homes, and trailers of all types. 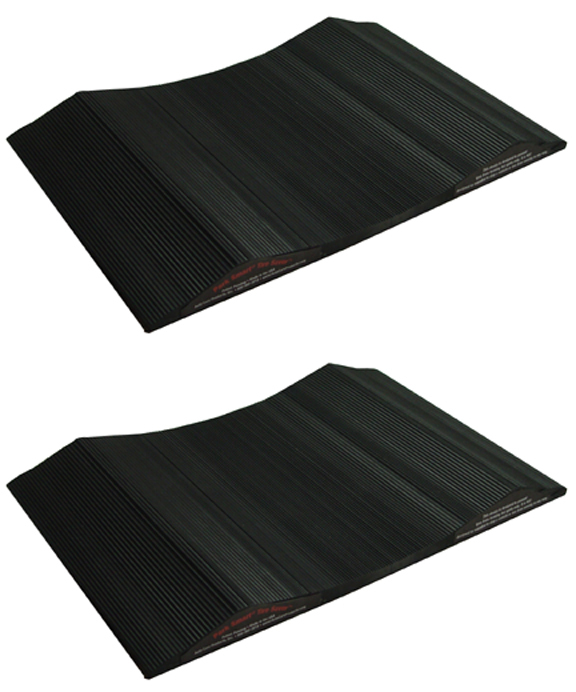 Available in 2 widths: 10″ wide and 15″ wide and packaged in sets of 2 and 4.